Pick the stalks until early summer, then let the foliage develop so the plants can produce spears next spring. Plants will grow 3-4′ tall with lacy delicate foliage that turns yellow in the fall. Asparagus beetles and Japanese beetles can be a problem. 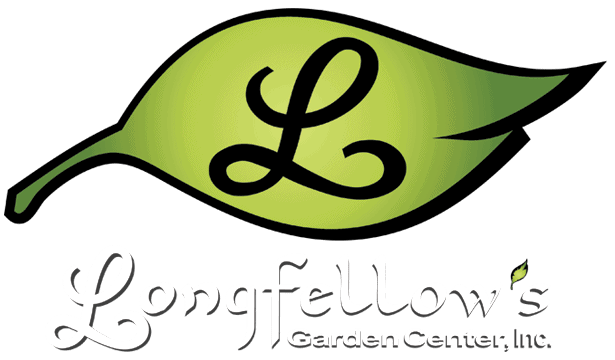 Contact Longfellow’s if needing advice on insect control. Planting of Asparagus – Since asparagus is a long-lived perennial plant, correct planting will produce tasty spears for many years. Place a layer of manure about 12″ deep, covered with topsoil. Fan out roots and place crowns so they are 6″ lower than soil level. Cover roots lightly with topsoil. As tips grow, gradually place soil back in around the shoots until reaching the original soil level, always keeping the tips out of the soil. In early summer, after all harvesting is done, mulch with manure or compost to reduce weeds. 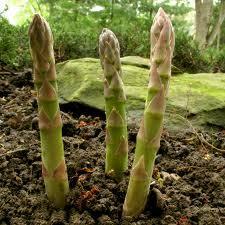 In the fall, cut back asparagus shoots and re-mulch if necessary.